Frequent travellers and drivers of small hatchback cars, prepare to be dazzled. I’m not kidding when I say you won’t believe the fold on this remarkable stroller. The Babyzen YoYo is the most compact stroller imaginable – it folds down to a teeny tiny size similar to that of a standard carry bag and it has a one flick unfold, which means no more wrestling with awkward umbrella strollers when your arms are already full wrangling a toddler. 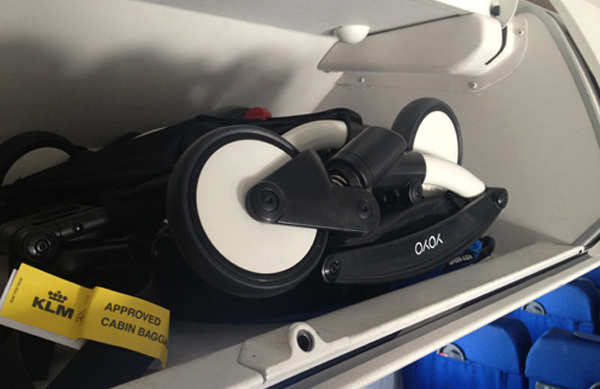 This incredible fold means the YoYo stroller can fit in the tightest of spaces – the boot of the smallest hatchback and even the overhead compartment of an aeroplane (as pictured below). It’s not a cumbersome load either, weighing in at under six kilograms, I’ve had fully loaded nappy bags weigh more! 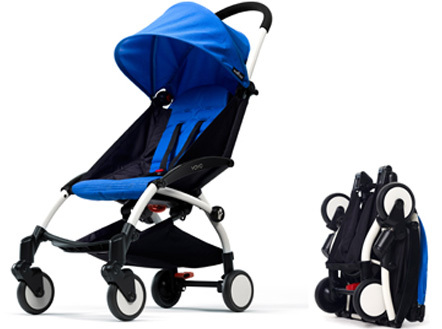 The seat pad on the new stroller is large enough to fit a child up to the size of an average five-year-old and makes for a comfortable ride with four wheel suspension, recline backrest and removable, washable fabrics. 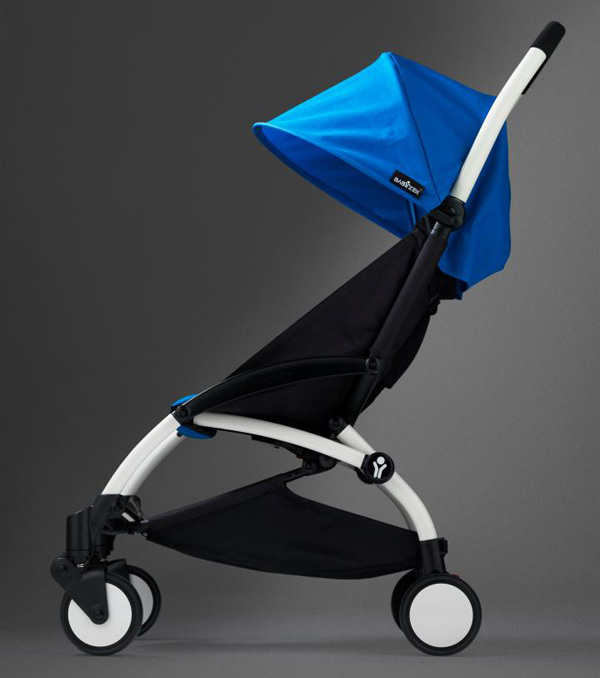 A funky modern looking ride in a bounty of popular colour choices that ticks all the boxes, the Babyzen YoYo stroller is priced $499 and will be available right here in Australia in December from Roger Armstrong.